Why are the ceilings torn up in the main library? The heating and air system is being replaced. The boilers were no longer functioning properly and it was becoming impossible to regulate the temperature in certain areas of the library. Often, it was very hot in the library or cold. 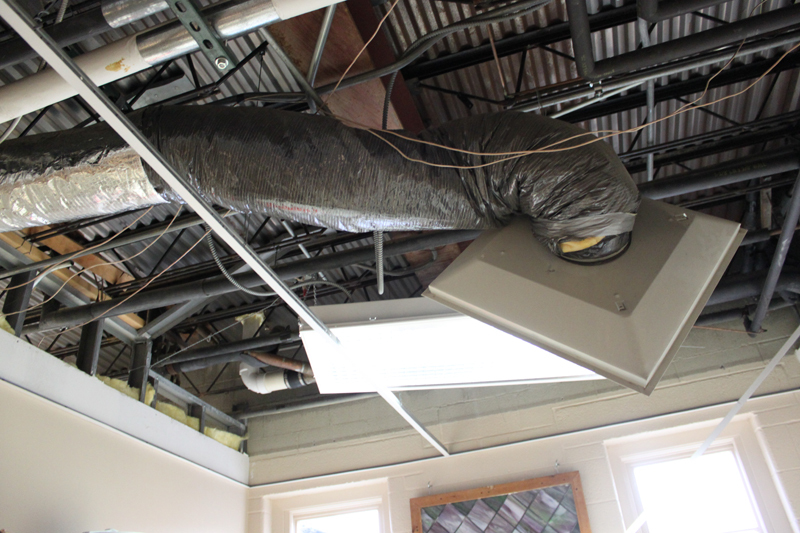 We are so thankful for the updated HVAC system being installed!